The 42 camp players attending this year’s Allstate All-Canadians National Mentorship Camp received their first taste of NHL-calibre training on Wednesday (Day 2), with a demanding dry land training workout, a seminar on sports psychology, and on-ice coaching from Logan Couture and Dominic Moore. Today (Day 3), the camp kicked into high gear. 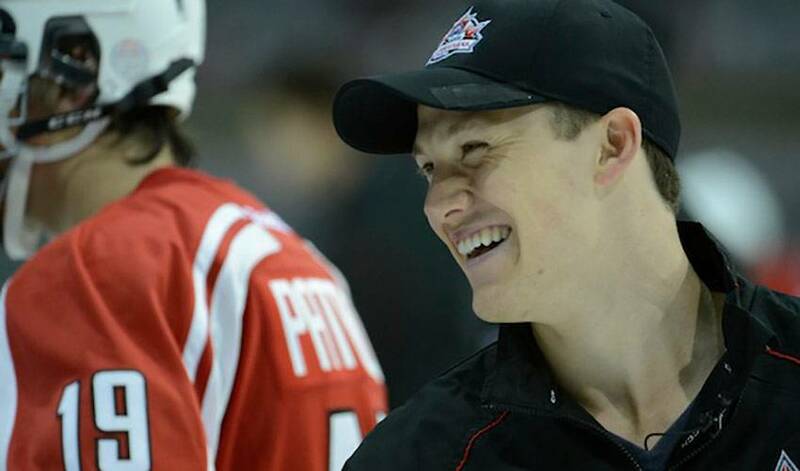 New York Rangers goaltender Martin Biron and Carolina Hurricanes forward Jeff Skinner arrived at the Hershey Centre bright and early to hit the ice with Team Giroux and Team Spezza on day 3 of the Allstate All-Canadians National Mentorship Camp. Biron and Skinner were on hand for the full day, assisting in coaching the players through a series of tough drills led by hockey training expert, Jari Byrski of SK8ON Hockey school. The players also paid a visit to the Gary Roberts Fitness Institute for a vigorous dynamic off-ice workout. After the groups broke for lunch, the Ottawa Senators’ Jason Spezza stopped by to meet the team he will be coaching in Saturday’s Mentorship Cup game, as well as take part in a Parent Seminar. 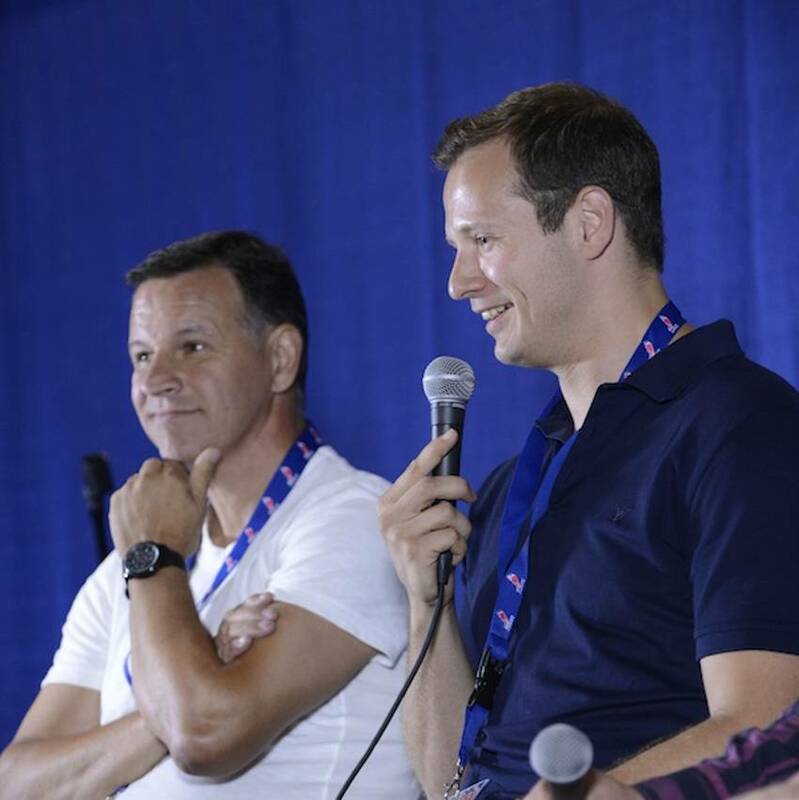 Jason Spezza and his father, as well as Jeff Skinner and his father, engaged in a panel discussion about the important role parents play in shaping a young player. Hockey moms and dads of elite players face unique challenges. From ensuring their young player keeps the sport in perspective to mastering parenting at a distance if a player moves in with a billet family. The panel discussed these challenges, and offered some insight and advice about raising an athlete. Jeff Skinner’s father, Andy Skinner, touched on the importance of keeping the sport a source of fun for a young player. If a passion becomes a job, the passion - and willingness to improve - dies. “It’s important to minimize the pressure on your young athlete. They are already trying to cope with all the changes and expectations that come with the sport - especially as they enter the more serious phases of hockey,” explained Andy Skinner. It’s another early morning for the players tomorrow, who will spend the majority of their day on the ice, getting some time in with their Mentorship Cup game coaches, Jason Spezza and Claude Giroux. Get some rest, boys. You’ll need it for Day 4.